Our third Ballpark Mystery is officially on sale today! Yea! This is such a great book, because me and Kate got to go California to visit her father. He’s a scout for the Los Angeles Dodgers. We had a great time. I even beat Kate in bumper cars (you’ll have to take my word for it, she’ll probably make up some story about how she had me boxed into corner, but don’t believe her) at the Santa Monica Pier. We also went to the La Brea Tar Pits. 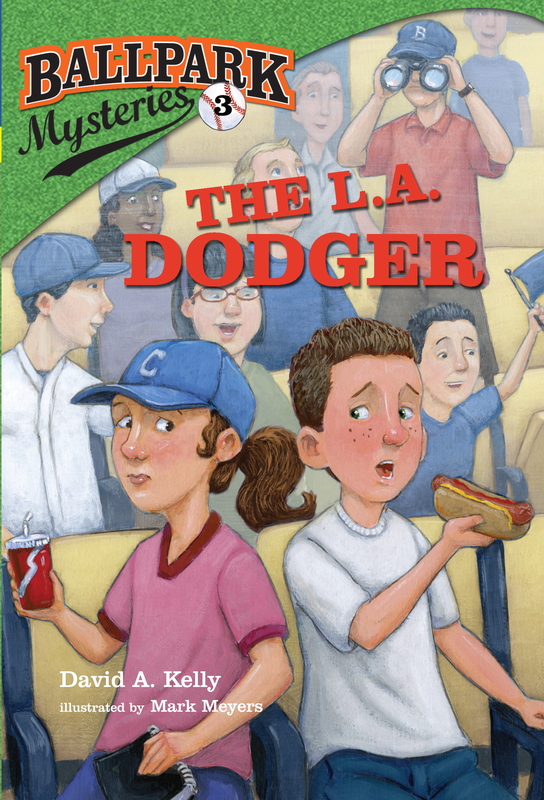 That helped us figure out how to set a sticky trap for the L.A. Dodger. But read the book–you’ll never believe how we finally caught him!